Looking for quality roof repair and installation in Fentress County, TN? 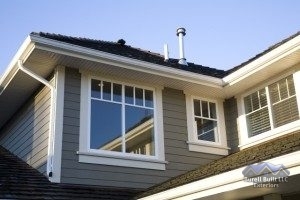 Choose the professionals at Burell Built Exteriors! From residential roofing services to major commercial replacements, our skilled roofers do it all. Call us anytime at (865) 385-6926 for your top roofing company in Fentress County, TN. Conveniently located in Knoxville and Chattanooga, TN, our contractors travel all over to provide quality roof repair and installation to you. No matter what kind of roof system you have, we have the experience and skills to repair and replace membrane, shingle, slate, metal, and other roof systems. Choose from our many products and materials by well-known manufacturers, with options for any design or budget. Using quality materials and trusted techniques, you can rely on our roofing company in Fentress County, TN for complete roof repair and installation. If you reside in one of the following communities or nearby, give us a call to find out how we can help you with your roof. We have the right combination of skills and extensive experience to manage any roofing job, residential or commercial. Thanks to our extensive experience and local knowledge, we can quickly address the problems with your roof, from standard wear and tear to hidden hail damage. We also provide emergency roof repair, so call our team at (865) 385-6926 anytime, 24 hours a day, for assistance! As our company name suggests, we also provide home exterior services such as siding replacement, gutter installation, and more. When you want trusted service, look no further than our roofing company in Fentress County, TN.